Copyright (C) 2011 KLab Inc. This software uses cryptographic software. The country in which you currently reside may have restrictions on the import, possession, use, and/or re-export to another country, of encryption software. BEFORE using any encryption software, please check your country's laws, regulations and policies concerning the import, possession, or use, and re-export of encryption software, to see if this is permitted. See http://www.wassenaar.org/ for more information. 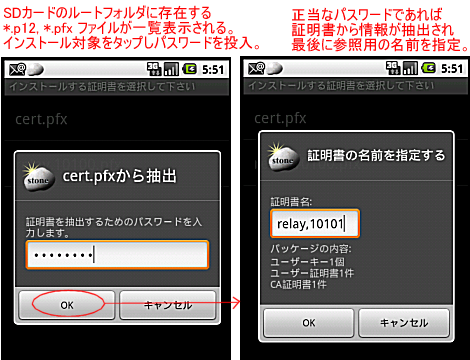 It will be great if i can directly download APK file from web server;i dont want to get google account. Hi sage, try following URL. This URL is valid only for a few days. Thank you. 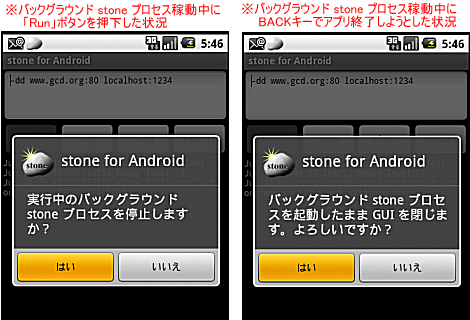 But I can't execute this command on Android(works fine on Windows). 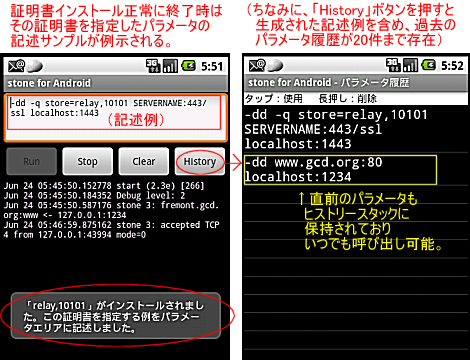 Maybe Android can't repeat dns packet. 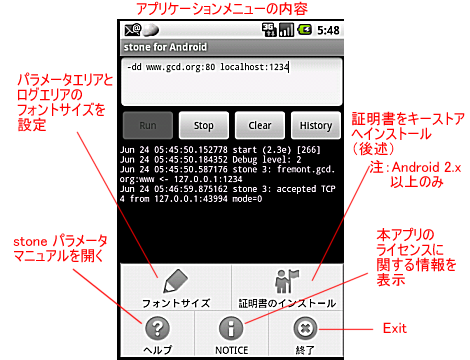 > But I can't execute this command on Android(works fine on Windows). > Maybe Android can't repeat dns packet. I've not tried such operation. But, at least, root privilege is required for your command. Since port 53 is a well-known port. 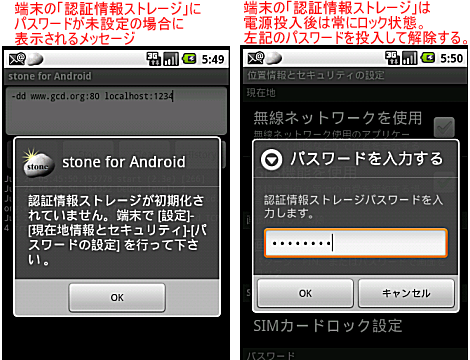 Is your Android device rooted? 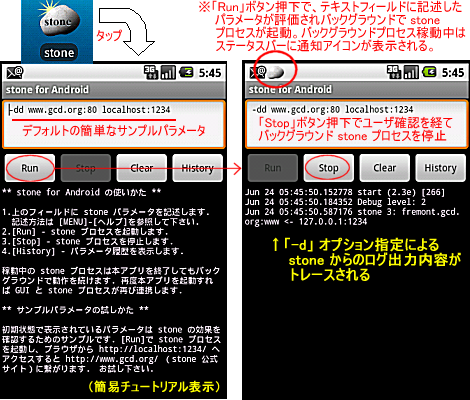 If so, you can try CUI version of "stone version 2.3e for Android" on terminal emulator after "su" command.